❗️ We are kindly requested not to leave negative feedback before contacting the seller, in most cases your problem will be solved as soon as the seller reads your message. Thank you for understanding. We have a huge amount of things PUBG. The transaction passes very quickly, almost instantly, after payment you receive your items in the mail. We are also looking for partners for cooperation. If you are selling PUBG things or you want to buy large lots of things from us. Write to us at our mail or CHAT - we will be glad to any suggestions. Our store has the lowest prices, in the market for the sale of things - PUBG. Our service carried out more than 6000 operations within this trading platform. This means that our customers are more than 340 times convinced of our reliability. Check information on the number of sales of a particular position, you can on the product page. After payment you will receive data type CODE. Which you will need to enter in PUBG. Instructions for activating the CODE will be lower. 1. Go to the PUBG game. 2. We pass into the section "STORE". 3. Click on the "ACTIVATE PIN-CODE" (located on the bottom left). 4. Enter the PIN, click "ACTIVATE"
Then, if you bought some kind of case, for example, with a set, go to the "INVENTORY" section, open this case, put on things and play at your pleasure. If you bought some thing from the clothes (skin) just go to the section "APPEARANCE" put it on and enjoy the game. 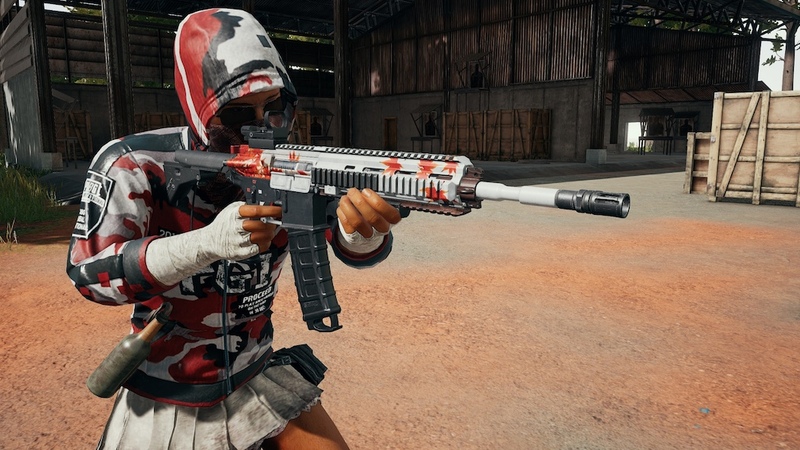 And if you bought some skin for a weapon, go to the "APPEARANCE" section, then we put on the "Weapon" and play for fun.